The much awaited India’s Test tour of Australia begins from December 6, 2019, at the iconic Adelaide Oval in Adelaide. Experts are touting this as India’s best chance to defeat Australia at their home turf and register their first series win Down Under. The home team is not in best of the forms with their star batsman out of the series due to bans and the fragile batting order. However, it is the star-studded bowling attack of the home team that has regularly caused problems in the past to the mighty Indian batting lineup in the 2014 Tour of India Down Under. India has never won a series till date in Australia. Earlier in the past, they have drawn series against Australia. However this time, the bowling lineup of this Australian team can act as a major obstacle for India in winning the series. The flat and bouncy pitches in the series shall be tailor-made for the tall lanky Australian speedsters. 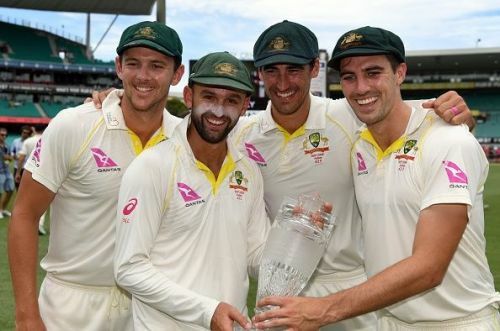 The fabulous trio of Mitchell Starc, Josh Hazlewood & Pat Cummins would be deadly to counter given their nagging accuracy and the ability to bowl at 150 km/h consistently. They can extract a considerable amount of bounce from the flat decks due to their thunderbolt deliveries thereby posing huge challenges for the visiting teams.